Members of the FBI and NYPD arrested Marcos Alonso Zea, of Brentwood, Friday morning. A grand jury charged Zea with conspiracy to commit murder and attempting to provide material support to a foreign terrorist organization. Zea, who pleaded not guilty, is being held without bail. Zea, who also goes by the name "Ali Zea," allegedly flew from Kennedy Airport to London en route to Yemen to provide money and other resources to al-Qaida in the Arabian Peninsula in 2011, but was stopped by British customs agents and sent back to the United States. 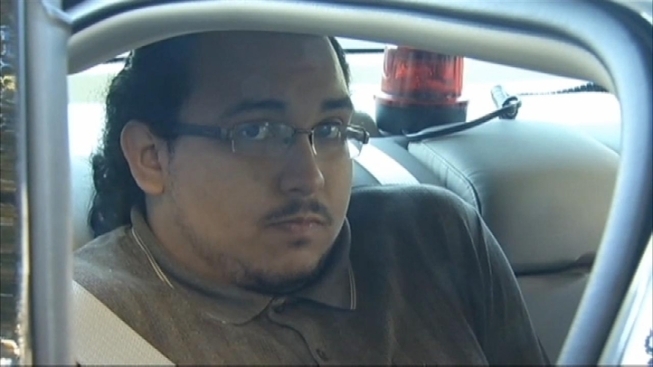 NBC 4 New York has obtained exclusive video of a Long Island man charged with attempting to provide material support to al-Qaida in the Arabian Peninsula. Jonathan Dienst reports. Prosecutors say he allegedly conspired with Justin Kaliebe, of Babylon, upon his return to the U.S. Zea allegedly advised Kaliebe on how best to travel to Yemen to wage "violent jihad," and gave him money. Kaliebe was arrested in January at Kennedy Airport as he tried to board a flight. Kaliebe, who was a student at Babylon High School at the time of his arrest, pleaded guilty in February to attempting to provide material support to terrorists. 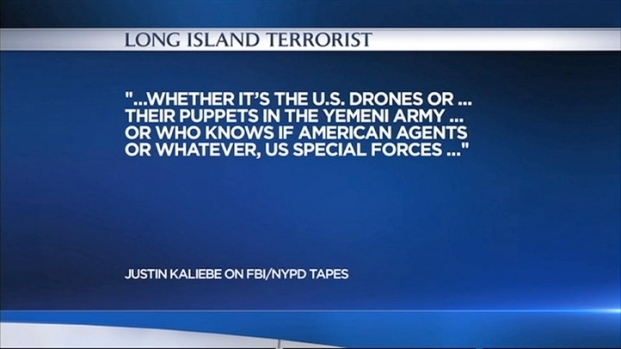 Investigators said Kaliebe approached an undercover officer about joining a terror group and admitted he followed teachings of terrorist Yemeni cleric Anwar al-Awlaki and Sheik Omar Abdel-Rahman — the blind sheik tied to the 1993 World Trade Center bombing. An undercover NYPD intelligence officer was able to meet with Kaliebe and Zea, both of whom were born in the United States, and get the pair on tape also, officials said. Zea's mother, Sandra Zea, tells NBC 4 New York her son was questioned in January, and he told authorities he knew nothing "because he did not do anything." Sandra Zea said authorities put surveillance teams on her son Marcos, and also followed his brother. Three months ago, she said authorities seized computers from her home. Sandra Zea says that her son is a generous, shy man who enjoys his studies and isn't the type to be affiliated with any terrorist organization. Prosecutors confirm Zea's computers were seized, and said he allegedly tried to have an associate erase his hard drives. A search allegedly yielded copies of al-Qaida's "Inspire" magazine. He also allegedly tried to give a semi-automatic rifle to an associate who was traveling to Yemen. “Despite being born and raised in the United States, Zea allegedly betrayed his country and attempted to travel to Yemen in order to join a terrorist organization and commit murder,” U.S. Attorney Loretta Lynch said in a statement. Zea's attorney would not comment on the charges except to say that her client was pleading not guilty. His father, Alvaro Zea, said his son had been "set up" and would be cleared of all charges.